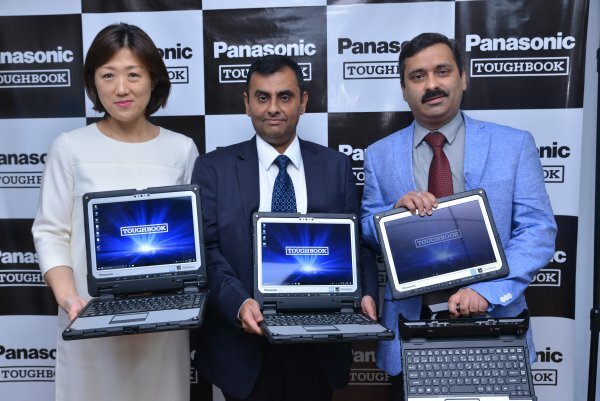 Panasonic, the leader in tough notebook segment, has launched today the world’s first 2-in-1 fully rugged detachable notebook, Toughbook CF-33. 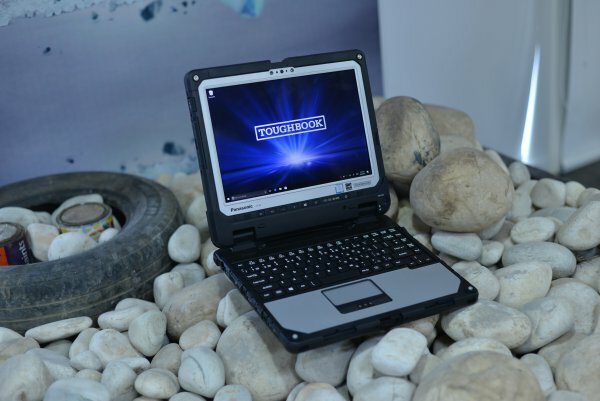 This is Panasonic’s 7th generation rugged Toughbook laptop and is ideal for industries including police, emergency services, government agencies, defense, field service workers, maintenance and service technicians in the utilities and telecommunications. The Toughbook CF-33 can be easily detatched and can be used as a tablet and laptop.The screen of it can easily be flipped around, taken off and reattached. The Toughbook CF-33 has a 12 inch, 10-finger capacitive touch QHD screen (2160 x 1440 pixels). The device includes a IP55 digitizer pen for workers in toughest of weather conditions. It runs on Windows 10 Pro and is powered by Intel Core i5-7300U vPro 2.6GHz Processor (project option i7-7600U), 8GB RAM (project options 4GB and 16GB) and 256GB SSD (project option 128GB and 512GB). It is is equipped with a 2MP webcam with stereo microphones and 8MP documentation rear camera to enable sharing images in the field. This device has long lasting battery and comes with twin hot swappable batteries which provide the user with the ability to extend the battery life for mobile workers with limited access to power. The user will not have to stop the work even if first battery goes off as with the help of second battery, one can continue to use it. This notebook offers connectivity options of USB 3.0, HDMI, LAN, micro SD-XC and headset ports. On the keyboard dock there are 2x USB 3.0, USB 2.0, LAN, Serial, HDMI, SD-XC and VGA ports. Additional tablet configuration options include second USB 2.0 port, Serial, Barcode Reader, Smartcard Reader, Contactless Smart Card Reader and Fingerprint Reader. This Toughbook comes with a magnesium chassis, and IP65 rating and drop resistance of upto four feet. It weighs approx. 2.76 kg in laptop mode and with the detachable tablet weighs 1.53 kg. This Toughbook is priced Rs. 2.70 lakhs without taxes. “The CF 33 has been built in line considering the new dimensions businesses are now looking to add to their portfolio. Apart from its perennial tough quality, lightweight and detachable characteristics of the laptop make it an ideal fit for corporations who are looking to do more with their computing devices. It is well equipped to allow consumer’s access mainframe company data at all times, in order to maintain seamless workflow management. Panasonic Toughpad’s enjoy a 65% market share here in India, and with the introduction of new products in the Toughbook and Toughpad series we aim to increase our market share to over 70%” said Mr Gunjan Sachdev, Business Head, Toughbook and Toughpad Division.